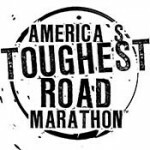 An update on the Blue Ridge Marathon this morning from the Roanoke Outside Foundation and others connected to the now-ten year old event that’s back on April 13th. Pete Eshelman with Roanoke Outside helped get the race off the ground as a way to attract runners to the valley. New this year is “America’s Slowest 5-k” the next morning – which includes donut stops and yoga stretching along the route. There was also a sneak peek this morning at the Down-By-Downtown Music Festival that coincides with the marathon weekend – four days of music at multiple venues that includes Elmwood Park.